This page is designed to give our customers some facts and information necessary in order to successfully purchase the water treatment equipment that suits their needs. ABC Water Softeners believes that everyone should research the facts before purchasing any equipment. We want everyone to be satisfied with their new equipment. 1. How can I check my flow rate? 2. Why would I want to soften my water? 3. Will a Reverse Osmosis System remove the salt from the softened water? 4. How do I reach ABC Water Softener’s tech support? 5. I’ve read ads that claim that magnetic softeners would solve my hard water problems.What is your experience? 6. What size water softener suits you? 7. What do I need to do to properly size an iron, sulfur, manganese or acid neutralizer backwashing filter? 8. What type of warranty do you offer? 1. Go to the nearest faucet you can find AFTER the pressure tank. It is best if you can find a faucet that is placed where you can also hear the pump turn on and off. If you have not got a faucet where you can hear the pump turn off and on you may need some one near the pump to shout to you when they hear the pump come on and off. Turn the faucet on and run water. 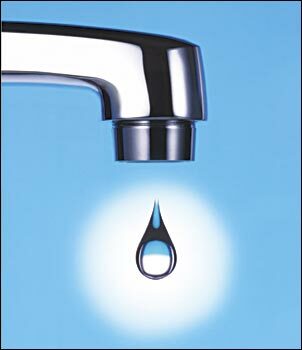 The instant the pump turns on, turn the faucet off and time how many seconds the pump run before it turns itself off. Then write the number of seconds down. Then you will start drawing water in a container that you can measure how many of gallons of water you have, such as a five gallon bucket or a one gallon container such as a plastic milk container. You simply draw water until the pump starts again. At the instant the pump starts again you will stop drawing water and make a note of exactly how many gallons (and partial gallons) you collected before the pump came on again. We will use the seconds and gallons you have recorded to determine your flow rate. For example: If you had the pump run initially for 30 seconds and then later were able to draw 5 gallons we would know your flow rate is 10 GPM. If you can not hear the pump turn on and off you can listen to the clicks from the pressure switch which is normally located near a pressure gauge near the pressure tank. A normal well pump pressure tank is set to turn the pump on when the pressure get down to 40 LBS and turn off when the pressure reaches 60 LBS. Each time the pump turns on or off you should be able to hear a distinctive click from the pressure switch. If for some reason you can’t hear the click or pump, you can attempt and alternate flow rate check if you have some sort of faucet or spigot BETWEEN the well pump and pressure tank. Simply open that faucet and draw water for 60 seconds and count how many gallons you had during that time. ONLY use this method if you are unable to do the method mentioned before. 2.Why would I want to soften my water? It greatly reduces the scaling of pipes, faucets, pots, glasses, tubs, etc. You will use less laundry soap, dish washing soap, hand soap, etc. The water is more pleasant to wash with, less soap scum. Yes, it will remove more than 98% of salt from water. 5. I’ve read ads that claim that magnetic softeners would solve my hard water problems. What is your experience? “Magnetic” conditioners have been around for over 30 years and are not a new item. We ask, if they work so well, why doesn’t everyone have one? We have done extensive research and has yet to find any scientific (non-biased) proof from a reliable source that proves that water conditioners are actually effective. We do not believe that any brand of magnetic conditioner can remove hardness. 6. What size water softener suits your family? Please note: When calculating the amount of people per household, a dishwasher counts as .5 people, a washing machine counts as .5 people as well. Example: (If you have a dishwasher and a washing machine you would count this as another person per household. Also Note: Keep in mind to plan for the future. If you think you might have more children, parents or other family members that may increase the size of your household, you may want to allow for that. Remember that a larger softener will result in less water and salt usage over time. 1.Do a flow rate check as recommended above. 2.Check in the back of one of your toilets for iron bacteria. Simply lift the lid to the storage tank on the back of the toilet. Look on the bottom of the tank and into the four corners ON THE BOTTOM OF THE TANK. If you see anything building up or “Clumping” up in ANY of the four corners that is usually evidence of iron bacteria regardless of the texture or color of what is clumping up. In many cases people with iron will see a lot of iron sediment settled on the bottom of the tank. That means little as long as the sediment is “Smooth” on the bottom. If you see clumps or lumps at all in the smooth sediment, you have evidence of iron bacteria. Next stick your finger below the water level and rub it under water along the sidewalls of the toilet tank. If it feels really slippery or slimy, or if you can see things obviously growing in the tank, then that is a sign that you have organic issues. Another sign of organics, or things growing in the tank, would be to look for a film on top of the water. It is always there but is sometimes hard to see. It may help if you can’t see the film to get a flashlight and shine it sideways across the top of the water in the storage tank. Once you see the film just stick your index finger in the middle of the film. If the film just lies there or does nothing then you are likely inorganic. If the film NOTICEABLY “Repels” or moves away from your finger that is organic, or a living entity. 3.Get an “Independent” water test. Never get you water tested by in-home salespeople representing themselves to be water testers. These are commissioned salespeople who rarely get the testing correctly determined and are looking to sell you something expensive. These are NOT water quality experts. An independent test can be performed by a lab, by pool supply companies, possibly by your local county and many municipal water supply companies that provide water offers free testing to the private well community as a public service. NEVER let water testers tell you how to treat the water. They are RARELY correct. Let them do the testing and let us tell you what that means. If you can find no independent person to test please keep in mind you can send us a sample and we will be happy to test it free of charge. Just call us or e-mail us for mailing instructions. After you have obtained this information simply speak with one of our expert techs and they will tell you exactly what you need. Keep in mind they will never ask you to buy anything and they do NOT work on commission of any kind. They are paid to just get it right every time so never be afraid to give them a call. Our products have a blanket warranty on all moving and non-moving parts, a 10 yr. warranty on tanks and we offer lifetime support so you should never need a service call!